Immerse yourself in the colourful world of the Nins®, classic wooden peg dolls from Grapat. 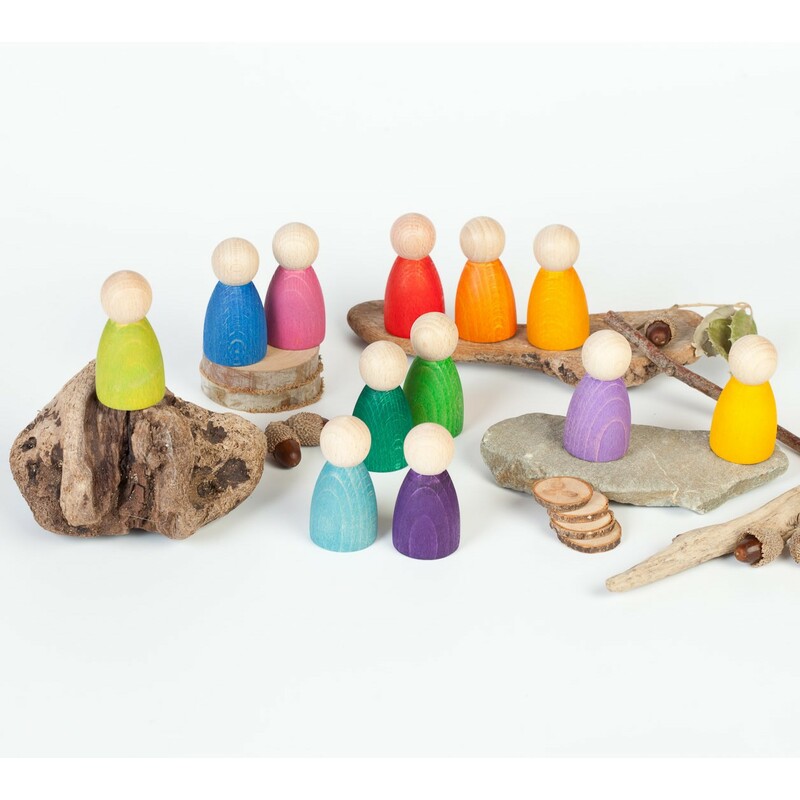 These beautiful peg dolls can be used to create miniature worlds limited only by children's imaginations. Nins have no gender or mood so this is all created by your child allowing them the freedom to play as they wish. As well as characters they can form pieces in a puzzle, counting tools, help with language development and sensory too. 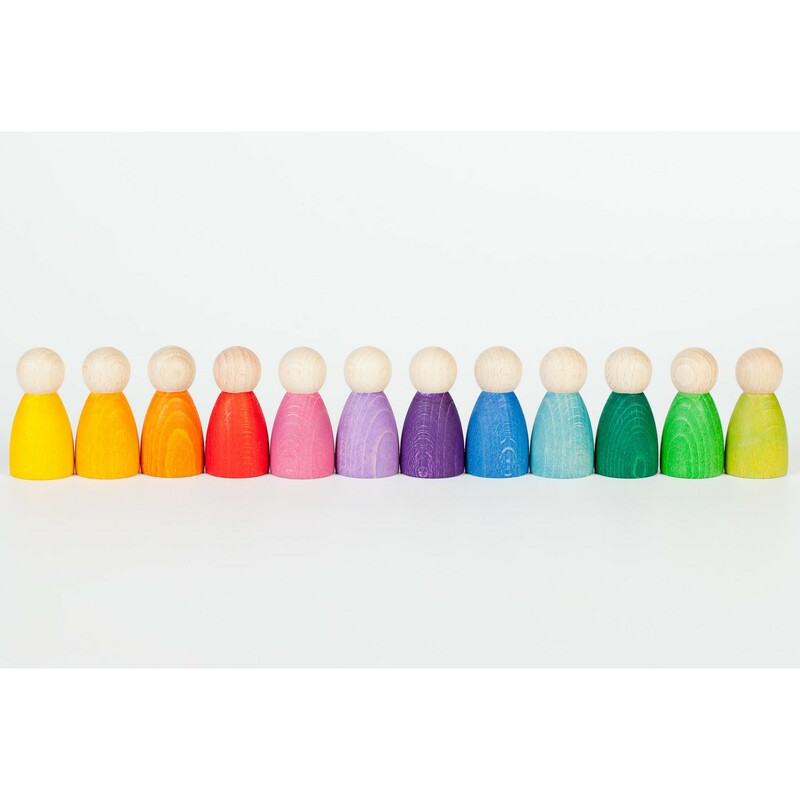 Peg dolls make a popular Waldorf toy ideal for this style of play. 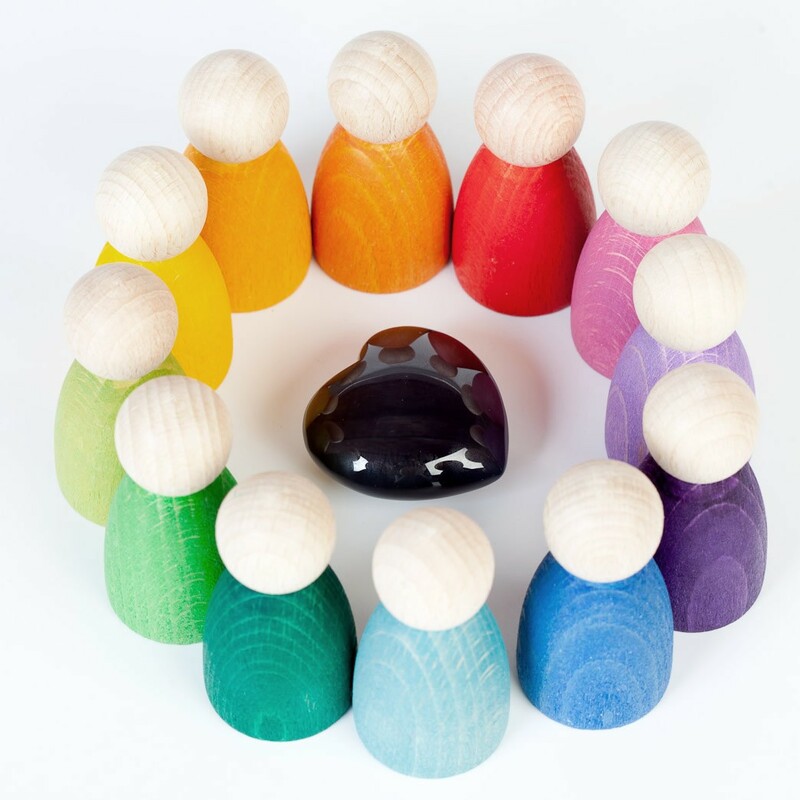 These Grapat Nins are beautifully crafted and stained with wonderful rainbow colours. Recommended for 12+ months. Nins® measure 6cm in height. 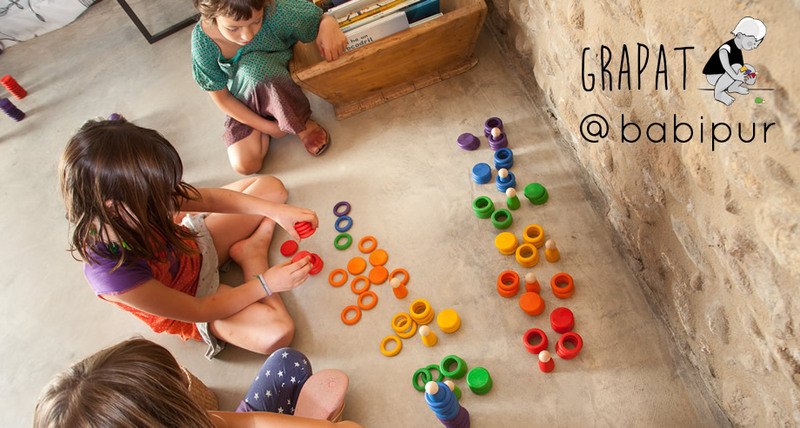 Grapat toys are hand made using natural wood and water based stain. 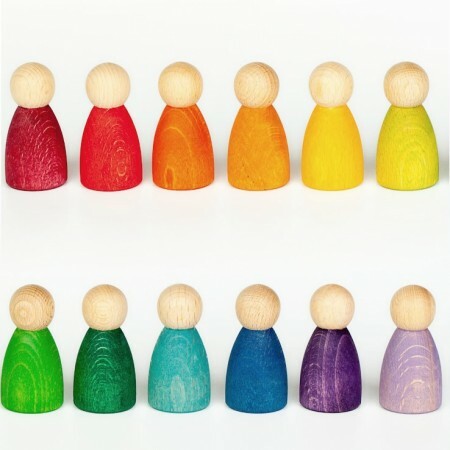 Colours and wood grains vary as does life itself. 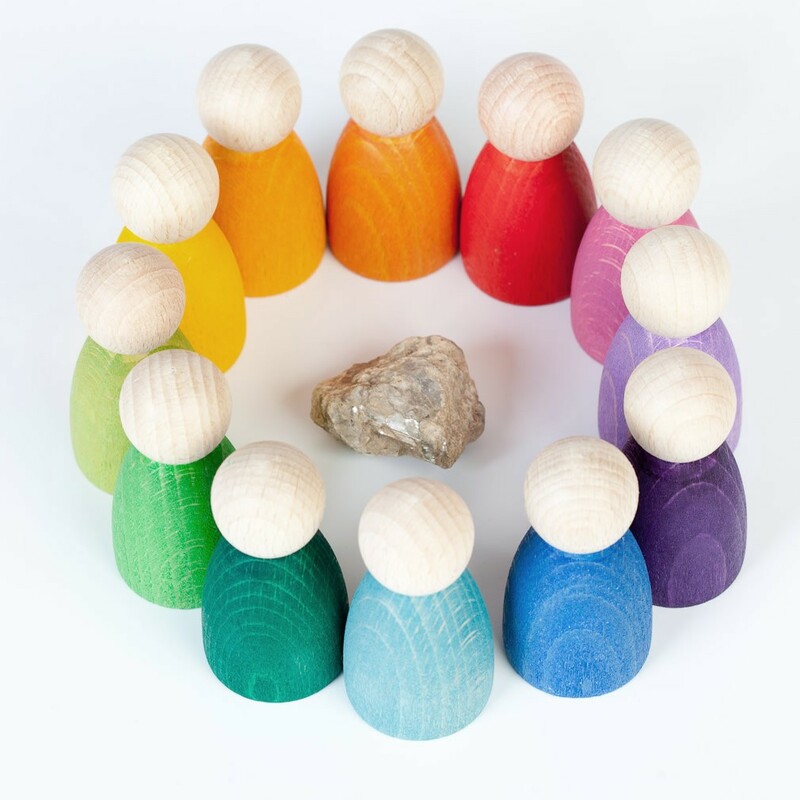 Over time wood can wear with play.